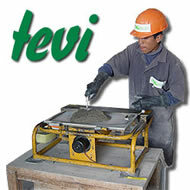 One vibrating table machine with short chassis and electric motor of 12 V 8A. The machine also works with a car battery or solar panels (not included). You don't buy only the equipment. The mini vault is a system used for ceiling and roof slabs. 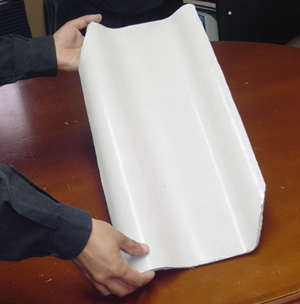 It saves up to a 40% against a traditional concrete floor or ceiling. 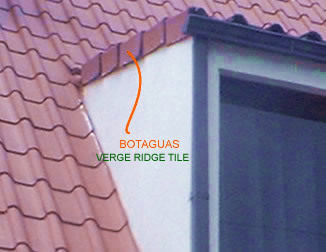 The Verge tile at 90º (left) is an accessory to roof finishing. 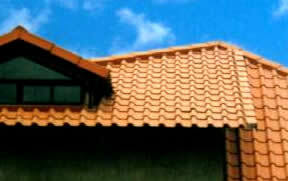 The Ridge tile is an accessory to cover the joints in a roof. 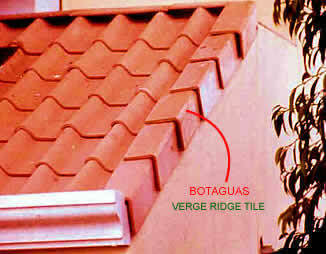 This Ridge closer tile accessory closes the space between the ridge tile and the roof tile. 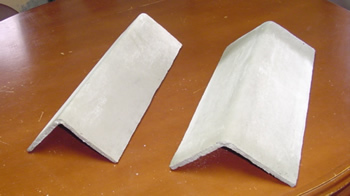 Production of good quality equipment implies very high tooling costs, and production of lesser quality equipment is likely to result in many unsatisfied customers and tiles that do not live up to standard. 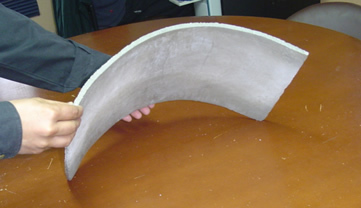 The basic steps are: mortar making, mortar vibrating, curing, pool curing and drying.